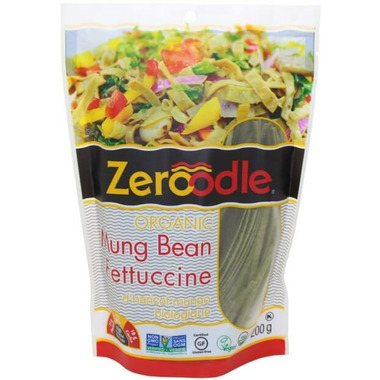 Zeroodle Bean Pasta is a delicious, satisfying and healthy alternative to traditional pastas. Packed with protein and fiber, this pasta is versatile enough to use in all of your favourite recipes, with a flavour the whole family can enjoy. Directions: Boil water, add pasta to the boiling water then simmer gently for 4-6 minutes or until cooked through. Immediately rinse under cold running water. Ingredients: Organic Mung Beans, Organic Green Soybeans (Edamame) Water. 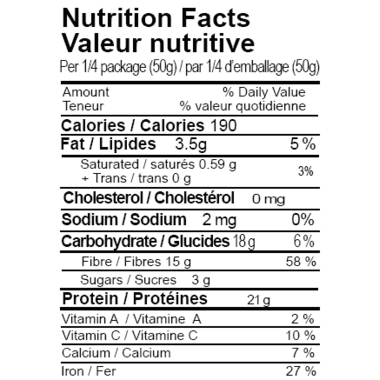 Contains: Soy. Warnings: Manufactured in a plant that produces soybean. Please Note: Do not freeze product.